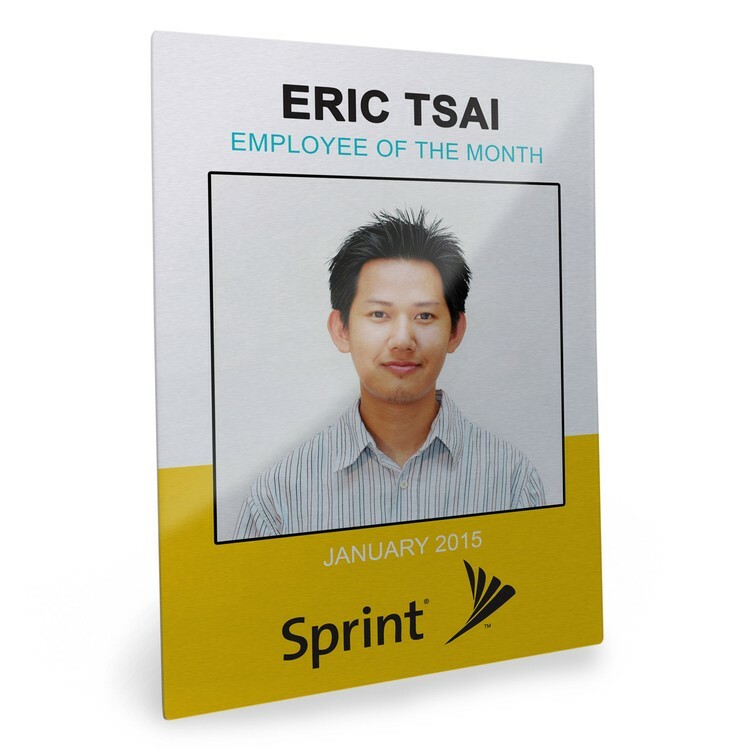 Create a modern, upscale award or advertising tool with the sleek metallic look of this metal easel plaque-style panel. This panel award features a glossy finish with UV resistant coating, and it comes to you ready for immediate display - no hanging necessary. The easel makes for easy display of your full color, personalized logo, advertising message, photography and more. With straightforward pricing with no minimum order quantities and no set-up, color, imprint or run charges, you can feel great about ordering with us!